The YES! Program has day-long science programs for partner schools such as Cancer Biology & You. These days give high school students hands on experiences designing cancer research experiments and learning about cancer causes, diagnosis, treatment, and prevention as well as opportunities to learn about a variety of career options within cancer research and treatment. These days are great opportunities for high school students to interact with college students. 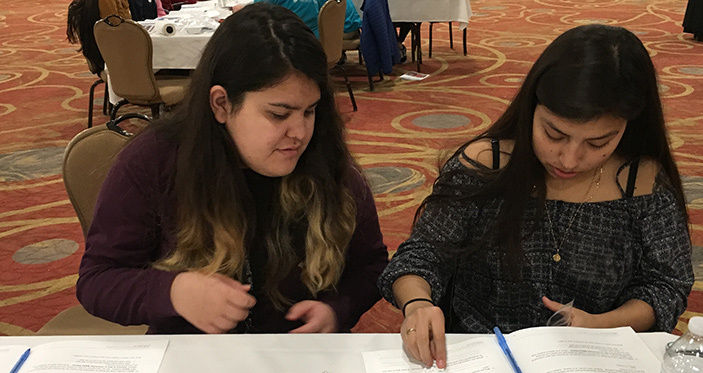 High school students with Native American ancestry can participate in a week-long summer cancer careers exploration program. This program will expose students to the fields of public health, biomedical sciences, nursing, pharmacy and medicine with a focus in cancer research. Students will also be able to tour the campus of UNO, UNL, and UNMC. Through these visits, they will gain insight into research and program opportunities that exist as well as participating in a college preparedness course.